Palo Santo is our favorite energy cleansing tool. 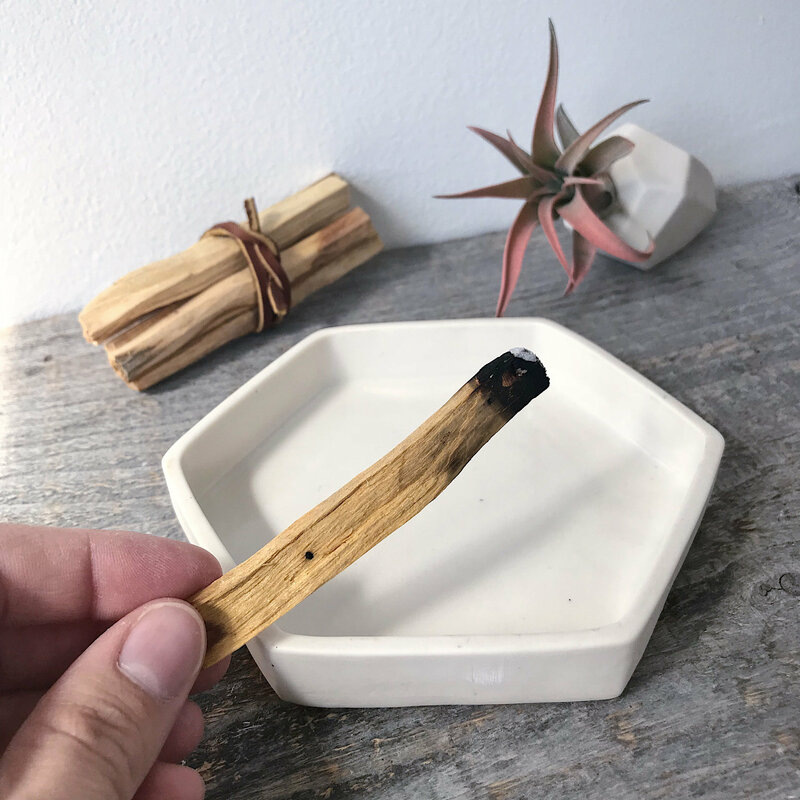 Palo Santo means “holy wood” in Spanish. This sacred wood comes from the Palo Santo trees of South America. When it’s burned, the smoke is believed to provide medicinal and therapeutic healing energy. Its calming and relaxing aroma of sweet pine, mint, and lemon has, for centuries, been a harbinger of healing and good fortune. Because of the extraordinary blessings it bestows upon those who have the good fortune to use it, this wood has touched the hearts and minds of countless people. 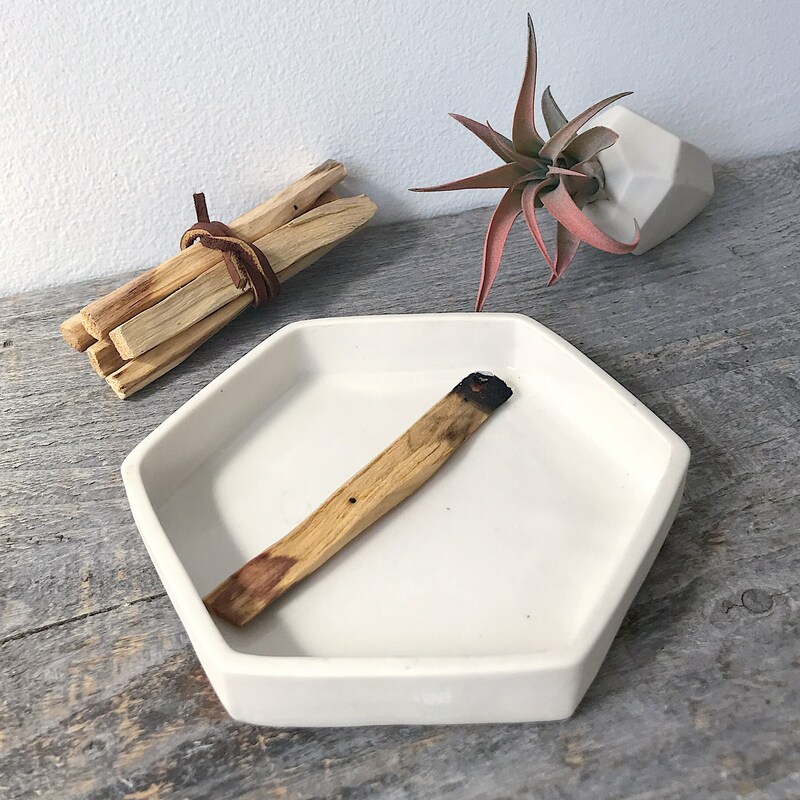 You will receive 5, 4” sticks of Palo Santo along with a handmade porcelain smudging tray. 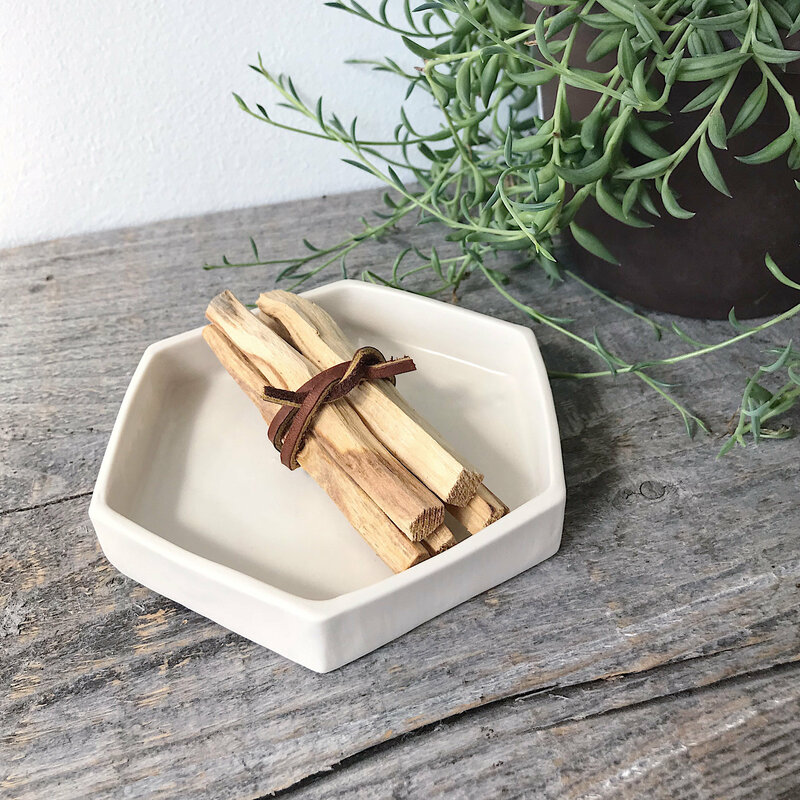 Use this ceramic hexagon to protect your surfaces from a hot, lit stick of Palo Santo. The interior glazed surface cleans right up with water and is also dishwasher safe.